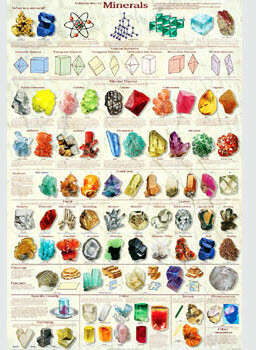 See 60 known minerals. Includes all 6 crystal classes and presents the physical properties: hardness, habit, luster, cleavage, specific gravity, color, fluorescence, and streak. Informative captions, illustrations, and carefully selected photographs. Laminated.